What Do I Eat? Usually, my emotions…. Well, they say you are supposed to “Eat to Live, Not Live to Eat.” But I’m pretty sure 75% of my current meals are the “living to eat” variety. My emotions keep me tied to my food much tighter than I would like to admit, especially as a nutritionist and health coach. 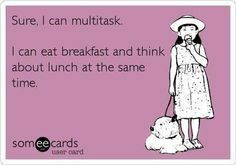 I also don’t have one client who is not the same as me too, so I would imagine you might have some similar feelings on food as well. My emotional eating doesn’t necessarily impact my health negatively because I’m actually emotionally connected to really healthy foods too. I am lucky that I have learned this otherwise I’m quite sure I would be just like every overweight and obese person out there. But I still know that even when I’m eating healthy foods, I have a strong tendency to overeat on a regular basis. My strong cravings for food tied to my emotions allow me to know that there is something about my inability to stop eating at times that is just not well with my soul. It is a sign of a Spiritual battle more than just a food thing. So, this led me to pick up a very good book by Lysa TerKeurst called “Made to Crave.” In it, she reveals her own journey in junk food addiction and struggle with being overweight and how she was able to fill her life with God more and food less. A journey I can vividly relate to as this is my desire as well. The Emotional addiction of food is the true concern and threat of this idol. We do know that we need food to survive, but we need not treat food as it is something to worship. Part 1. 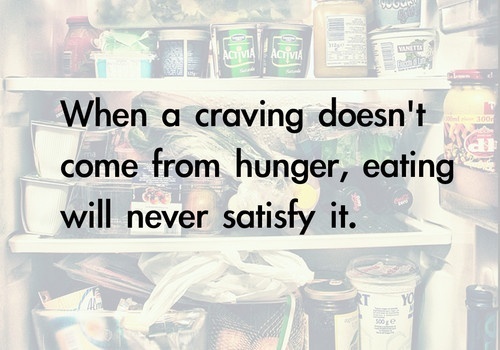 What does the Bible say about food and our cravings? Part 2. How can I take these passages and create a practical plan to overcome my eating? Our human nature can easily become consumed with food. Our days can be filled living only meal to meal. Obsessively planning our diets and fantasizing our indulgences. Also, the gift of flavor from real, true food, has been manipulated and exploited by the food industry for capital gain (a byproduct of another damning idol of our humanity —-> greed). However, we cannot to just shift the blame of our food issues to the manufacturers… or worse to God himself for our emotional and physical addiction to food by saying “God made me this way.” For God did not make us to crave anything but God himself. We must recognize the power and opportunity to strengthen our Faith and deny ourselves of our idols (i.e. food) to grow closer to God. Nor should we “worry” about our diet and what we shall eat. So what are we to do? I know for me, this feels like a seismic and impossible shift in my psyche and what I think about all day long. Food is simply one of my favorite things to think and worry about. 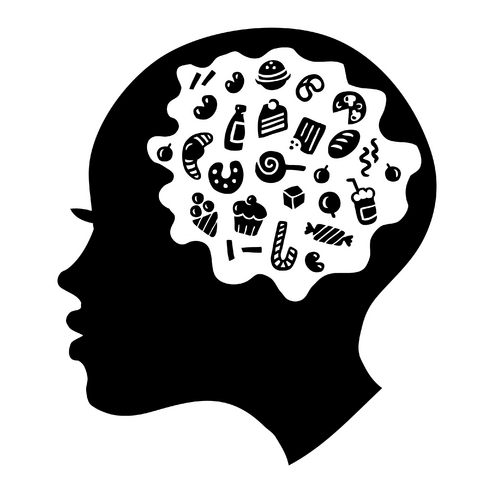 To over-consume my thoughts with phrases like “I will not be consumed by food or controlled by my cravings of (x, y, z)” all my subconscious mind hears is “food, food, food” causing us to think of nothing else but——> food. To overcome any battle, we much instead engage our inner spirit to the task. Turning our hearts on what will feed us from within, not what will not. Focus on God’s will for our lives (i.e. our Greater Purpose). Just as God made Jesus for a Greater Purpose (to live perfectly but die for our sins) he also made you for a Greater Purpose. (For more on what Greater Purpose is click on this past article HERE). SURREND’hering our spirit UP distracts our feeble minds from our sinful nature and attachment to food. It is not the FOOD that is the sin, but how we treat it. Feeding on the spirit does not mean we will give up food or fast for the rest of our lives! Don’t mistake my point of this calling. We must all still eat. But SURREND’hering our emotional connection to food and exposing the idol that it can be for many of us will allow our minds to break free from the stronghold that food/drink addictions and obsessions with food can be. 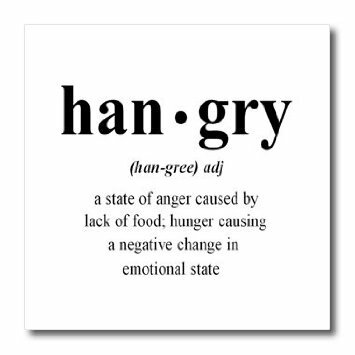 We must realize that God did not design us to be hangry. God did not design us to uncontrollably eat and gorge ourselves on food or drink. God did not design us to obsessively track every calorie or macronutrient. 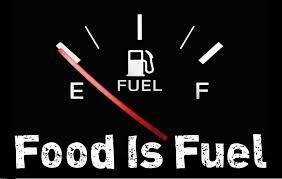 God designed us to use the food he gave us a fuel. We can detach from food and find contentment by turning our spirit and our attention to the word of God more, to our relationships with Him, and to our Greater Purpose for which we were designed. LIVE in the Spirit of Joy for life. LIVE in the Spirit of true fulfillment by consuming God’s love more abundantly than food. I hope my article and these scripture verses help to bring awareness and conviction for our depth of need in this area of food and the nature of our cravings. I hope it also points out that if you are a person that emotionally struggles with food, you are not alone!! It might surprise you that there are so many references to FOOD in the Bible, I know it surprised me! If it’s in the Bible, it means it’s been a real struggle for human for centuries! But more than that I hope this gives you some hope that with these passages are the answers to our problems. The Bible tells us where we can take our emotional struggle with Food and how we can use it to grow closer with God. But, I know that often times after reading the Bible, I need an idea of how to take the scriptural context to my real life . I’m a person that needs some practical application to fixing this need in our souls and help find our paths to true health of Body, Mind and Soul. Look for Part 2 tomorrow on some ideas of practical implementation and affecting real change in your life.